Do you struggle to get good sleep? A Beebe specialist may be able to help—locate a pulmonologist today. Do you need help mapping out and tracking what nutrients your body needs? Create a profile on Beebe’s Women's Health website and receive your FREE online wellness journal today to get healthy eating tips and more! Rheumatologists at Beebe Healthcare, offer counsel and guidance for patients suffering from RA while orthopaedic surgeons work with patients to relieve pain stemming from arthritis symptoms. Call (302) 645-3278 to schedule a 3D mammogram at the following Beebe locations—Millville, Rehoboth Beach or Georgetown (physician’s referral required). Our wellness coaches can help you get started! Schedule an introductory session by calling (302) 217-3000. Looking for a childbirth or breastfeeding class to prepare for your little one? Beebe offers free, educational classes for parents. Learn more by calling (302) 645-3726. 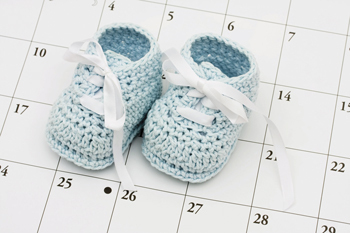 Have you scheduled your annual OB/GYN visit? Connect with one of our physicians here. LUNG FORCE: Make a donation or to join Team Beebe Healthcare. DONATE TO SAVE LIVES: Volunteer or donate through the Beebe Medical Foundation. THINK BEYOND PINK: Find out more information! Cozy up and get ready for some great health information! View the entire Fall 2016 Beacon and Gratitude Report here!